Sprites are a type of Asset in Unity projects. You can see them, ready to use, via the Project view. 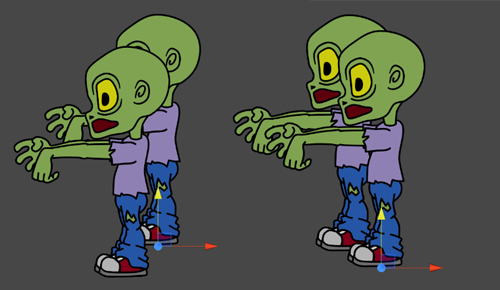 Renderers in Unity are sorted by several criteria, such as their Layer order or their distance from the Camera. 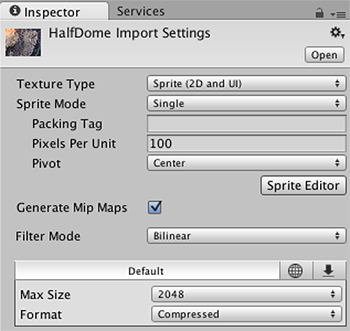 Unity’s GraphicsSettings (menu: Edit > Project Settings, then select the Graphics category) provide a setting called Transparency Sort Mode, which allows you to control how Sprites are sorted depending on where they are in relation to the Camera. More specifically, it uses the Sprite’s position on an axis to determine which ones are transparent against others, and which are not.